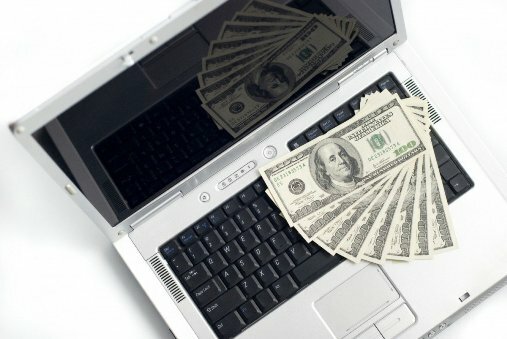 There are several methods for monetizing a blog, but all require previous work. It is very difficult to make money with blog overnight, if previously not done the work of creating quality content focused on a specific audience. Therefore it is necessary to forget the blog as a quick way to get rich. That does not mean that it is impossible to generate extra income with a blog, or even earn a salary. Almost all bloggers use one or more of these methods to make money with their blog. The ads are the first track of monetization in the thinking of the bloggers to earn money, although as you will see, it is not the only one. Advertising can be managed through services like Adsense, or directly, reaching agreements with advertisers. The biggest problem with this way of monetization is that many advertising systems like Adsense itself pay per click on the ads. It is therefore necessary to have a very large audience to reach achieve significant sums of money. With the affiliate programs the blogger receives a commission every time that a recommendation of a product ends in a purchase. To know that the purchase has occurred thanks to the recommendation of blogger, this inserts in his blog a few links which identifies the origin of the visit. For this system to succeed it is necessary that the blogger understands and has tested the product, to make good recommendations that will impress the audience and without being too commercial message. If a blogger is dedicated to continuously promote products, it is possible that readers get tired. With the sponsored posts blogger receives a payment published an article about a brand determined on their blog. It is almost always the blogger himself who writes the post, to maintain a consistent style and not lose the identity that distinguishes it. Blogs are great means of promotion for other products or services. These can be digital products, such as courses or ebooks, or physical objects, such as handicrafts. Other bloggers use their knowledge and seek employment like consultants or professional freelancer. In both cases it is necessary to have a loyal audience to achieve the first customers.